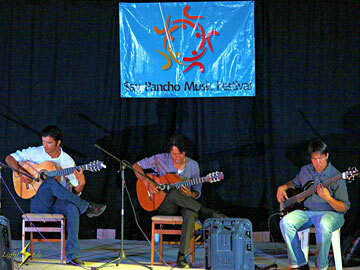 The annual three-day San Pancho Music Festival kicks off Friday, February 28 lasting through Sunday, March 2 in the beach town of San Francisco, Nayarit. The festival is celebrating its 14th year and as always there will be no charge to the public. Performances featuring local and international artists begin at 5 p.m. each day at Plaza del Sol, continuing until 11 p.m. Check out http://sanpanchomusicfest.wordpress.com for more info or check out the performance schedule below.